Features: 1.Elegant unique designed Fantastic hair bows for girls teens Hair Bag Shoes Clothing or other special occasion; 2.They have high quality alligator clips, Easy and comfortable to use; 3.You will get many different color hair bows suitable for every occasion and any season; 4.They can fit well for babies, toddlers, girls even women, they are all 100% handmade hair bows, A wonderful gift for yourself, friends or family. 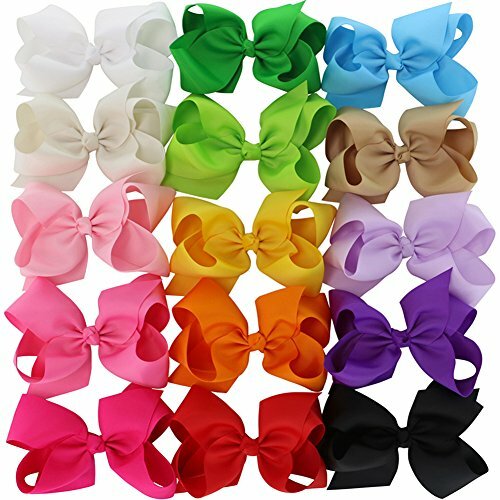 Specification: Material: these 6'' hair bows are made of high quality grosgrain ribbon, these hair bows are environmental, and harmless to anyone; Color: 15 different colors, they are all very lovely and bright; Size:6 inches; Condition: 100%Brand New. 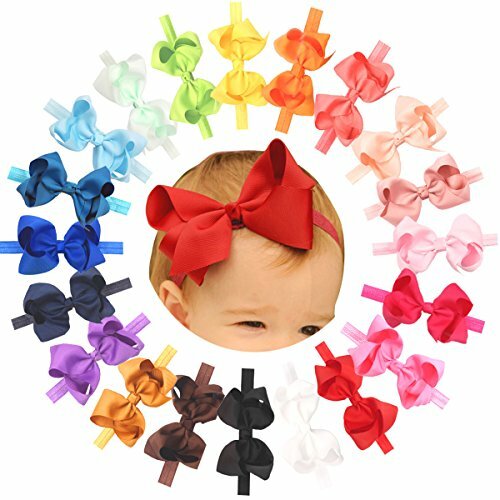 Package Included: 15 x baby hair bows Note: 1.Please allow a little size error due to manual measurement; 2.Please be reminded that due to lighting effects and monitor's brightness/contrast settings etc, the color tone of the website's photo and the actual item could be slightly different; 3.Chiffon is a protected Trademark; 4.Introduces the ultra soft material, no harm and no stimulation to baby's skin; 5.The new design would make your baby bows cute and charming, let your baby appear beautiful and stand out anytime. 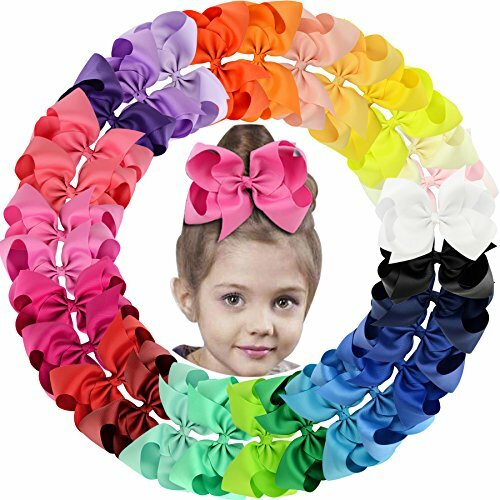 Features: 1.Elegant unique designed rainbow hair bows fantastic hair accessories for hair bag shoes clothing or other special occasion, 2.They have high quality lined hair bow clips, easy and comfortable to use, 3.You will get many different color hair bows suitable for every occasion and any season, 4.They can fit well for babies, toddlers, girls even women, they are all 100% handmade baby hair bows for girls, a wonderful gift for yourself, friends or family. 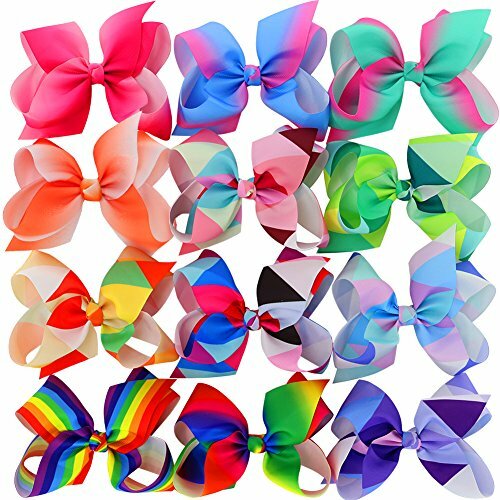 Specification: Material: These kids hair bows for teens are made of high quality grosgrain ribbon, these 6'' hair bows for kids are environmental, and harmless to anyone, color: 12 colors, they are all very lovely and bright, size:6 inches, condition: 100%brand new. Package included: 40 x baby hair bows note: 1.Please allow a little size error due to manual measurement, 2.Please be reminded that due to lighting effects and monitor's brightness/contrast settings etc., the color tone of the website's photo and the actual item could be slightly different, 3.Chiffon is a protected trademark, 4.Introduces the ultra soft material, no harm and no stimulation to baby's skin, 5.The new design would make your baby cute and charming, let your baby appear beautiful and stand out anytime. 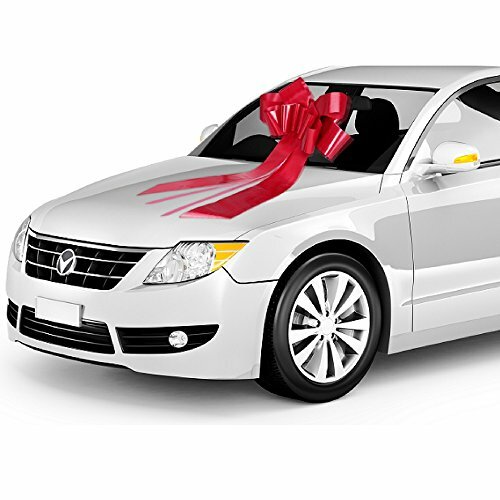 Decorate or give the perfect gift with these giant car bows. Great for Holidays, Birthdays, Anniversaries, Graduations or any special occasion! These Bows are designed to be used indoors or outdoors. Made of high quality weather resistant, waterproof vinyl. Each Bow has a soft non-scratch magnetic base. 30" wide Magnetic Car Bow. No Assembly Required. Size: 30" wide with two 30" long X 4 ½" wide tails. Available in many colors! 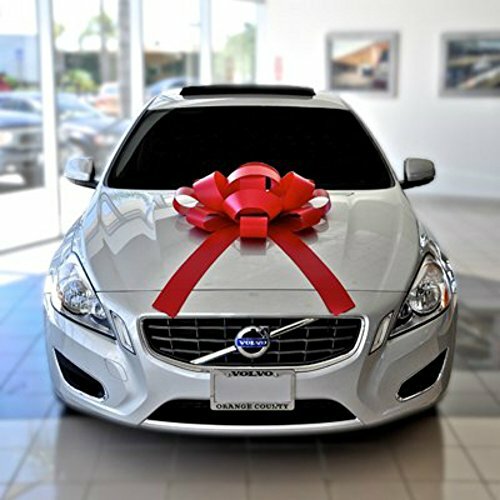 Big presents need big bows, so make sure to add a huge dash of Christmas or Birthday cheer to your presents with our giant Red Car Bow! 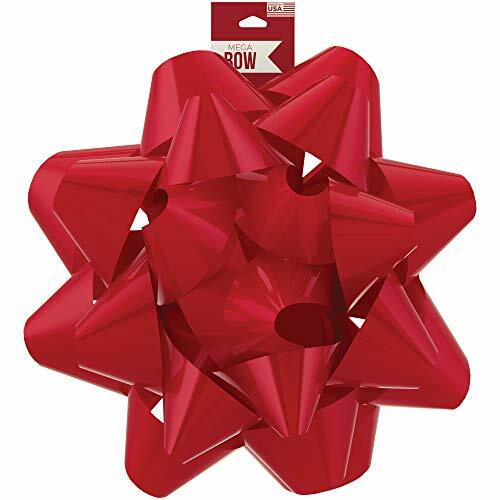 Perfect for large gifts like TV's, bikes, furniture, and cars, This Bow is a fun way to spread some serious holiday cheer! 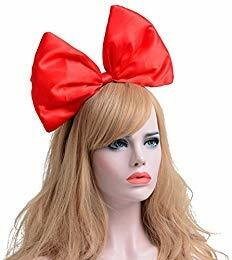 Includes (1) big bow for large Christmas gifts that measures 11. 75" W x 10. 75" X L 6. 125" H.
Want more Big Bow similar ideas? Try to explore these searches: Flat Twine, Candle Making Mold, and Chelsea Cufflinks.